The end of an era as the 188th FW flew last night mission with the “Hog”. On Dec. 30, 2013, Arkansas Air National Guard’s 188th Fighter Wing at Ebbing Air National Guard Base, Fort Smith, Ark. flew one of its last four-ship training missions with the A-10C Thunderbolt (“Warthog”) before transitioning to an Intelligence, Surveillance and Reconnaissance task with the Reaper drone. 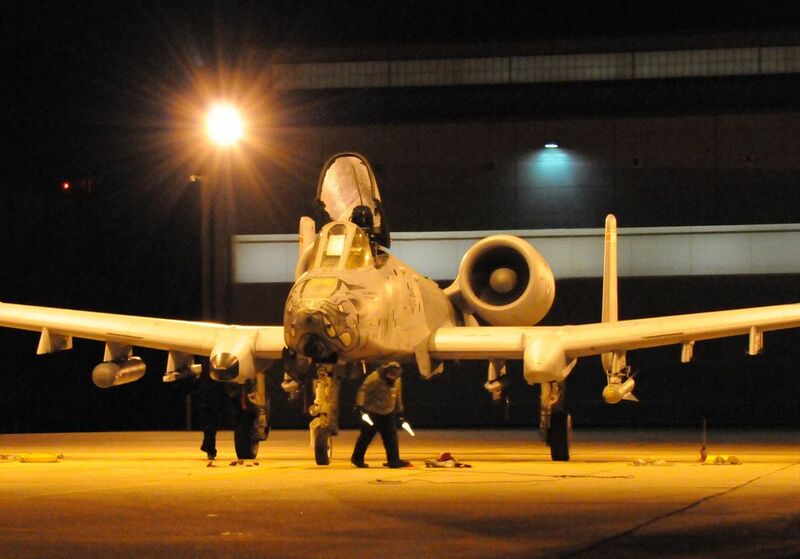 Even if the unit is planned to complete its 60-year history with military aircraft at Ebbing ANGB in June 2014, on Jan. 29, the 188th FW has already logged its final night training mission with the Air Force A-10C Thunderbolt II aircraft. U.S. Air Force Maj. Patrick Coggin, flying tail number 188, and Lt. Col. Toby Brallier, flying tail number 216, conducted the final night-flying mission for the 188th FW in the A-10Cs; a training mission that brought the two pilots near Whiteman Air Force Base, Missouri, before returning to the 188th’s Detachment 1 Razorback Range at Fort Chaffee Maneuver Training Center, Arkansas, to log some additional close-air support training hours. The flight, which marked the last manned night-flying mission in the 188th FW history, was just the last one in a series of historical events at the wing since it began a mission conversion last year. The sortie will be the last manned night-flying mission in 188th FW history. The wing is transitioning from an attack platform for CAS missions to an unmanned aerial system, the MQ-9 Reaper, for strike, coordination, and reconnaissance tasks.